I'm Just So Thankful For You. | The girl who loved to write about life. I love words. I love writing. I love community. This little space has given me a place for those things, and I'm so thankful. I'm thankful for blogging, I'm thankful for writing, and I'm thankful for you. Blogging continues to be an amazing and absolutely bizarre thing to me. It connects people who have nothing else in common and would probably never have crossed paths otherwise. Most of us will probably never meet face to face, but that doesn't mean we haven't been there for each other. It doesn't mean we haven't influenced each other, encouraged each other, motivated each other. 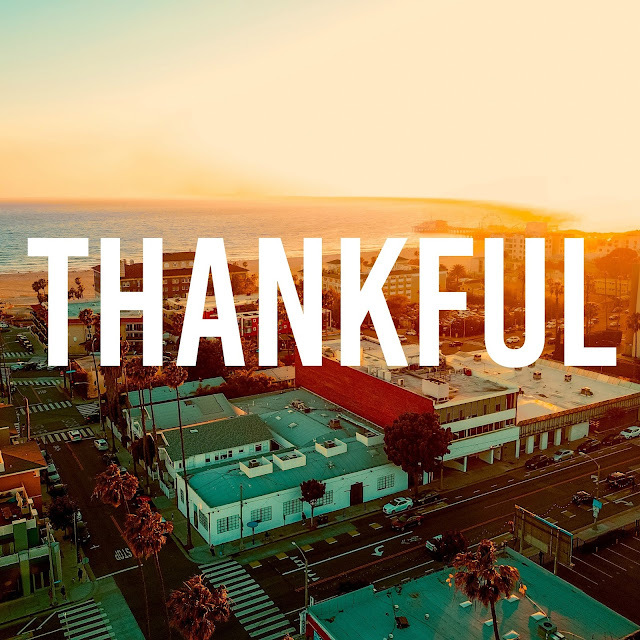 And I'm so thankful for that. If you show up to read the things I show up to write, I am truly, truly thankful for you. Thank you for reading these ramblings, thank you for sharing your opinions, thank you for disagreeing with me, thank you for saying oh yeah, me too! Thank you for your advice, thank you for your own words and ramblings. Just thanks. I hope your Thanksgiving is amazing. I hope that all of your picture-perfect tablescapes you have in mind turn out perfectly, and if they don't, that you laugh it off and enjoy the day anyway. I hope you have the laziest day and never leave your PJs, if that's what you want. I hope you have the fanciest dinner party, if that's what you're after. I hope you're surrounded by people who love you and that every moment of the day radiates with thankfulness.